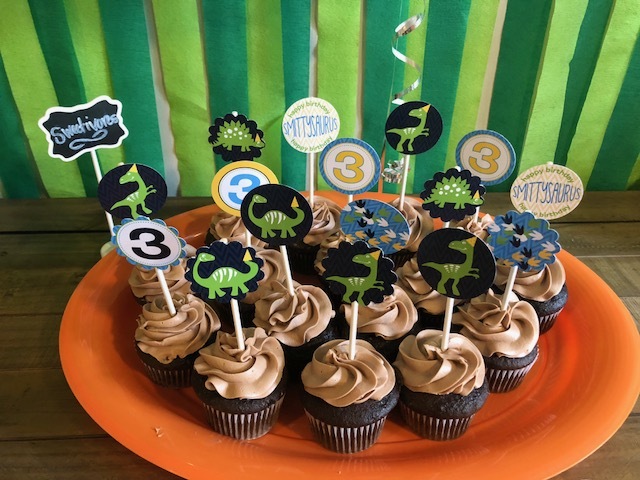 For her 3rd birthday, Clara wanted a dinosaur theme and her mommy, Kelly made it happen! Kelly had already purchased a birthday t-shirt for Clara that had orange gingham on it, so we continued that pattern on a few items. 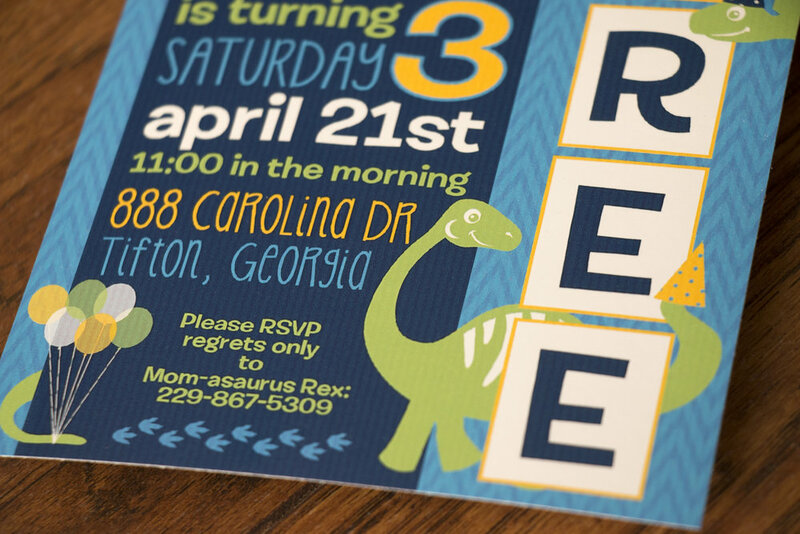 In addition to the invitation, we also did a pennant banner. The food signs (below) and the favor tags (above) were the same tags, I just sent a writable file to Kelly so she could type whatever she wanted into the space and then print them. Mmmm, I want a Nutella lava cake! Lastly we did a single circle with the number three done in the same gingham pattern from the other items.